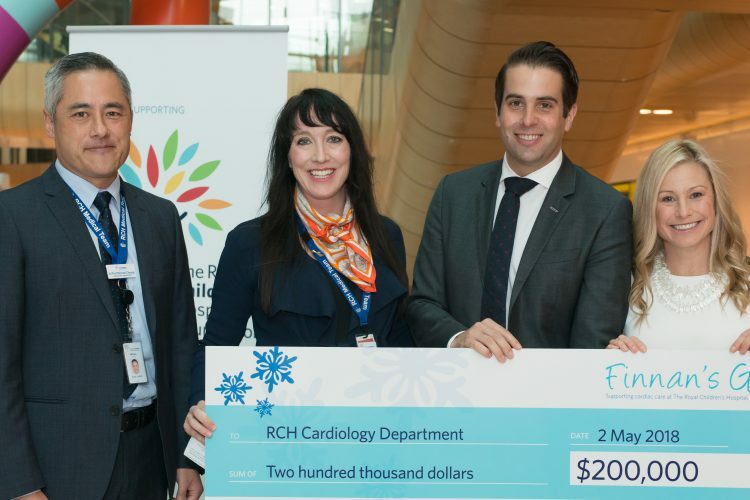 Within the vulnerable population of patients at The Royal Children’s Hospital (RCH), newborns and other children undergoing heart surgery are at particular risk of developing complications. Thanks to the generosity of Victorians, a new cutting-edge patient monitoring system has been installed in the two cardiac theatres. This technology displays the monitored physiological parameters of patients undergoing life-changing cardiac surgery, and is used by anaesthetists, surgeons and perfusionists. 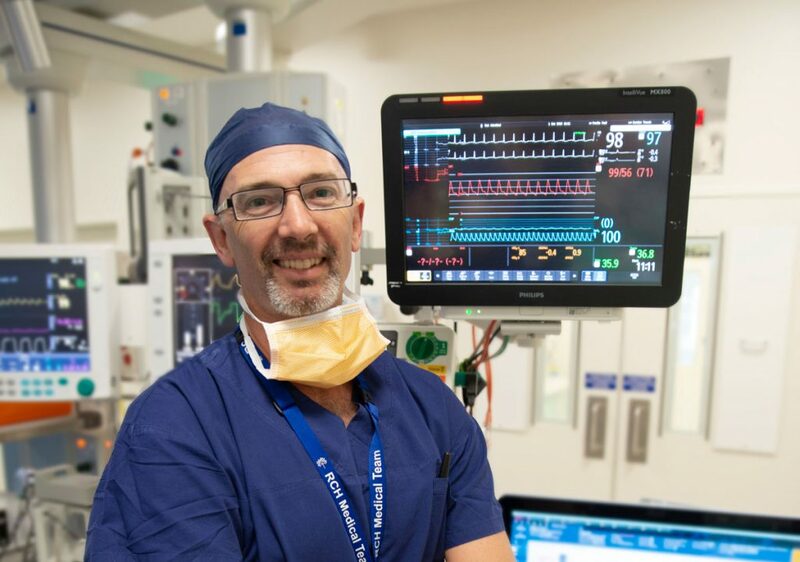 “A good way of thinking about the new monitor is as a sophisticated dashboard in your car or the cockpit of a plane,” said Specialist Paediatric Anaesthetist Dr Ben Turner. 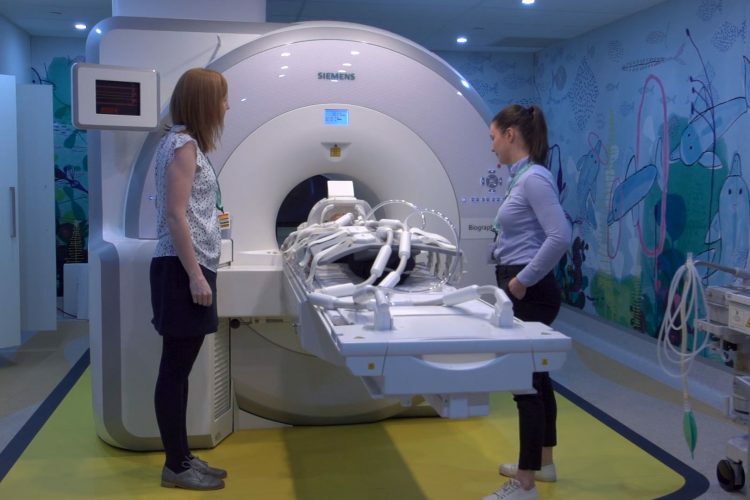 “At every moment there is a lot of information being collected: everything from the temperature of the patient’s skin and core to the depth of the anaesthetic, meaning the effect of the anaesthetic agent on the level of brain wave activity. During anaesthesia for cardiac surgery, a patient’s vital signs can fluctuate. The anaesthetist needs to see these changes to assess whether they are significant, and to make the necessary adjustments to the doses of anaesthetic medication and the anaesthetic machine to keep the patient safe. In extreme circumstances, this can involve emergency resuscitation of a patient from a life-threatening event detected by the new monitors which are accurate from one heartbeat to the next. This is especially important during the start of the operation when the anaesthetist may be moving around the operating room preparing the patient for surgery. The critical stages of anaesthesia include induction (the commencement of the anaesthetic) and the transitioning onto and off cardiac bypass when physiological fluctuations present the greatest danger. The monitors display all measured variables. This enables the treating team to promptly treat potentially life-threatening conditions that can present during surgery such as low blood pressure (hypotension), a fast or irregular heart rhythm (tachycardia or arrhythmia) or an abnormally low concentration of oxygen in the blood (hypoxaemia). The new monitors feature touch-screen technology which allows for easy adjustment of the parameters. Other menus can be accessed to mine further into detected changes such as to the electrocardiogram pattern to detect abnormal heart rhythms. The touch screen also allows for maintenance of the important infection control levels within the operating theatre. 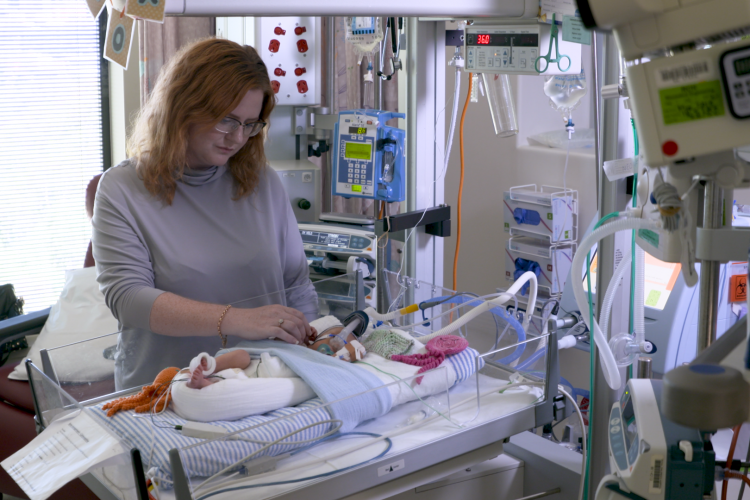 In 2016, the RCH installed a sophisticated electronic medical record system. As one of its many functions, it provides a library for anaesthetic records. The new cardiac monitors export the patient’s information directly into the database, enabling the anaesthetist to concentrate on managing the patient instead of recording information onto a paper chart as was done previously. 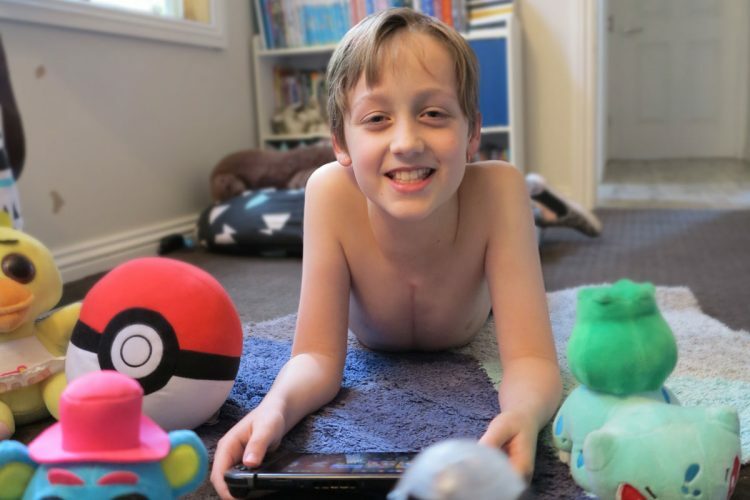 “There are enormous benefits to our patients in this compatibility,” continued Ben. The stored data provides other opportunities for the anaesthetic and surgical teams in terms of safety and for research. An important part of the process of quality and safety is reviewing the state of the patient’s vital signs before a critical event. With the information now recorded on a minute-by-minute basis, doctors can learn from any warnings before an event from a previous surgery to try to ensure it doesn’t happen a second time.